Many buildings lie empty or abandoned, rediscovered and explored by urban explorers who document what they find. 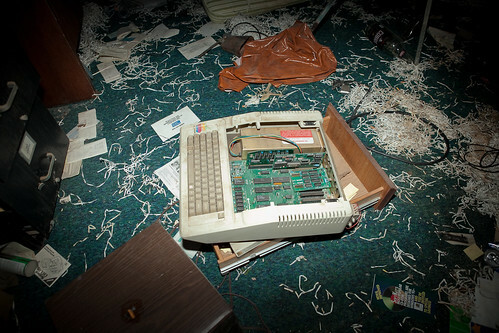 In this set of photos urban explorers document the Apple computers and other equipment they have found abandoned in houses, offices and schools. In some of the cases it seems a terrible amount of waste left behind.